If you have rental properties or vacation rental properties, you need an inspection solution that is comprehensive, saves you time, and is easy to use. Look no further than EZ Inspections. Here are all the amazing features we have to offer. 4. Dynamic and easy to use forms with real-time validation on mobile app to ensure data and photo quality. Getting new business is the life blood of any company. One of the challenges of taking on national mortgage firms in the mortgage inspection business is handling all the different systems. At EZ Inspections we support virtually all the national firms, making it easier for you to expand. You don’t have to worry about handling 5 or 10 different systems when it comes to working for all these companies. Let EZ Inspections be your one stop shop for the entire mortgage inspections process. A2Z, Aim Your Way, Altisource, Aspen Grove, Assurant, Auction.com, Cyprexx, Equator, Five Brothers, Fannie Mae, IMS, MCS, M&M, MSI, NFN, NFR, Reliance, ServiceLink, Spectrum, and Wolverine. More are added so contact us for details. Check out our low pay-as-you-go pricing! Field service companies encounter many challenges to their success as they go about their day-to-day business. Some of these challenges include making sure that service for their clients is never interrupted, ensuring that services are cost and time-effective, scheduling and dispatching efficiently, especially when managing a large number of properties, and providing thorough and accurate data to their clients after the jobs are complete. In a perfect world, a field service company always has an unlimited amount of vendors at their disposal to take care of the expected and the unexpected. But we all know that in the real world, things like employee turnover, employee time away for vacation and sickness, new territories with unfamiliar vendors, and last minute rush jobs happen often and unexpectedly. When – not IF – these things happen, field service companies need to be able to find reliable, affordable and available replacement inspectors and contractors – often within hours. For these times, it’s essential that your company connects to Cmobo where you’ll be able to find, contact and schedule multiple inspectors and contractors on a moment’s notice. Not only does Cmobo provide replacements when you need them, it more importantly, ensures that these replacement inspectors and contractors are knowledgeable and reputable. For example, replacement inspectors must be familiar with applicable guidelines for each property so every inspection is done thoroughly and correctly. In addition, they need to know how to document the work that has been done in a way that can be easily integrated into your existing systems. Lastly, the work needs to be done at a reasonable rate. By using Cmobo, you’ll be able to price inspectors on the front end and confirm that they can adequately do and document the job for which you need them. 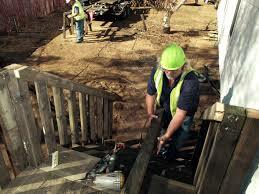 When finding replacement contractors, the need is often unable to wait! 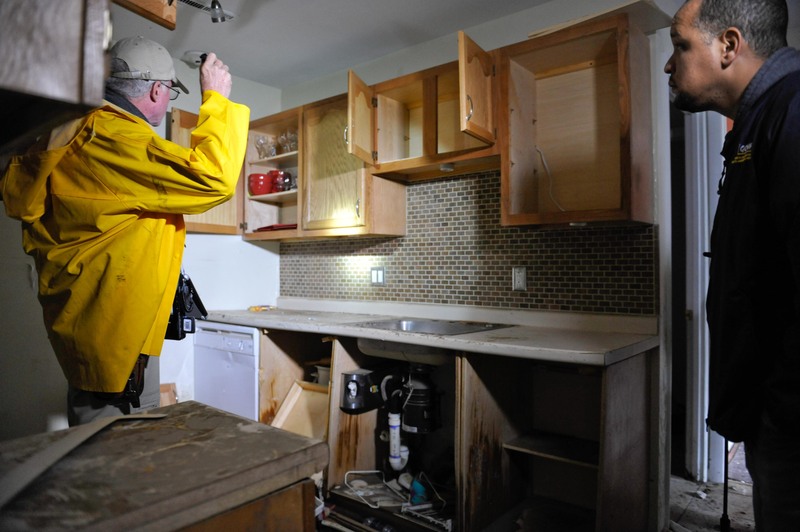 Last minute emergencies like lock changes after an eviction, roof repairs, water cleanup and damage repair, debris removal or extermination can’t wait and must be dealt with immediately. Cmobo understands that there are hundreds and thousands of dollars riding on some of these property preservation needs, so using a Cmobo-verified contractor ensures that repairs are done quickly and correctly. So whether it’s a last minute emergency that arises or you’re planning ahead to fill scheduling gaps in the future – or for anything in between – Cmobo does the work for you, so you can spend more time managing and less time making phone calls! I consider myself a pretty organized person: I’ve got an alphabetical file system that contains any paperwork I’ve received in the past five years. I pay all my bills on time. I’ve got an Excel spreadsheet that outlines my budget in great detail. I have an elaborate system to remember family members’ birthdays and make sure they receive personalized cards in the mail. I plan our meals two weeks at a time and make budget-appropriate grocery lists. I have a calendar on my phone as well as a large calendar in the kitchen where everyone’s activities are color-coded. But do you know where I store contact information for my favorite home service providers? Maybe in an app? A spreadsheet? A file folder? Nope. On post-it notes and business cards taped to the inside of my kitchen cabinet. I’ve got Rick the Contractor. Shannon in Pest Control. Josh the Painter. Mark the Roofer. Sounds like my system is working just fine, right? But wait… I’ve also got Michael the Roofer, Jason the Roofer, Todd the Roofer AND Dion the Roofer. And now I’ve got a leak in my master bedroom and I don’t know which one to contact. I seem to remember that last time we had a leak, one was overpriced, one was unsure of how to fix the problem and one never showed up to do the work. Didn’t I have a favorite that fixed the leaky roof over the bonus room a few years ago? This snapshot of my home life may not be representative of everyone’s but it will resonate with many. Managing just one home can be complicated and time-consuming and even more so if you’re also managing a vacation home, rental properties or multiple rental properties in your role as a property manager. There are roofers, contractors, pest control, landscapers, house cleaners, carpet cleaners and electricians to keep track of, just to name a few; the list is endless! This is why Cmobo has added a NEW Favorites feature to their service. Not only can you still search for providers on your phone and then send one service inquiry to all of them, but now you can also add your favorite providers from your own phone contact list. You can then press just one button to call or text your favorite provider or press another to share your favorites with anyone in your contact list. No more business cards stuck to the inside of your kitchen cabinets. No more post-it notes stuck around the house. No more searching in your check register for the name of the roofer you used to fix your leak four years ago. Cmobo puts all your favorite service providers in one organized location where you can always find it with the push of a button. Learn more about how Cmobo can make your life easier at Cmobo.com! Download the Cmobo app from the App Store or Play Store! As a property manager, you probably have your tried and trusted contractors who help keep your rental property or properties in top condition throughout the year. But do you have a back-up plan for when your contractors are busy and can’t handle your last-minute needs? Unfortunately you may run into time-sensitive situations that can’t wait for someone’s schedule to clear. Grass that needs to be cut, cleaning that has to be done before a new tenant arrives, emergency repairs like leaking refrigerators and broken air conditioners…. some of these can’t wait for a few hours, much less for a few days or weeks! So where can you find a pool of trusted and reliable contractors ready to give you a quick quote and provide immediate services done well? Enter Cmobo! Cmobo, part of the EZInspections umbrella of services for property managers, allows you to collect, compare and organize quotes from reputable and highly-rated contractors in your area. Every contact in Cmobo – from independent shops to large chains – has been pre-screened for quality and reputation, so you know there won’t be any unpleasant surprises at the end of the job. Cmobo allows you to easily compare contractors (and all kinds of home service providers for that matter), and centralize all of their information into one place so that you can quickly message or call them when needed. Plus, when you use a back-up contractor but you decide they should be used again, you’ll be able to easily save their contact information for future use, as well as store any notes about the job they did or the amount that they charged. While EZInspections keeps track of your inspection reports, Cmobo keeps track of your contractors so there aren’t any missed appointments or miscommunications. Plus, Cmobo is part of EZInspections so all the information you need to manage your rental properties well is in one central and easy-to-access cloud-based location. To learn more about how EZInspecitons and Cmobo can help make you a better and more effective rental property manager, visit EZInspections.com! Move-in Inspections – Walk through the property with the tenant, making notes of anything pre-existing that the tenant might be held responsible for upon move out. Take thorough notes and photographs of any problems you document and then make sure that both you and the tenant sign and date the inspection report. Routine Inspections – During the tenant’s lease, you should perform regular routine inspections every 3 to 6 months in order to address any problems. 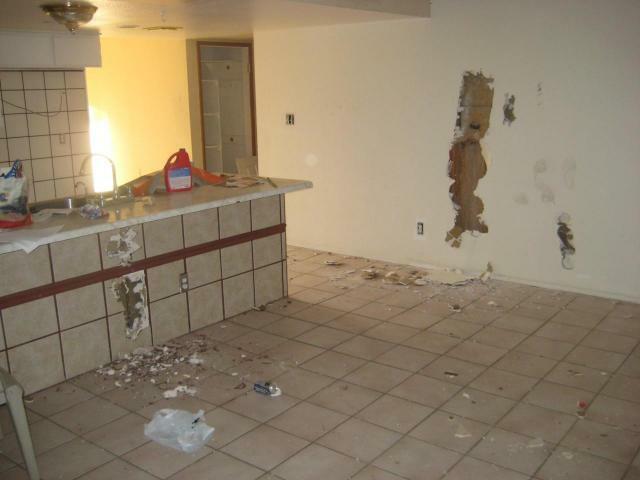 This type of inspection is beneficial for both the property manager and the tenant as each can take steps to fix anything for which they are responsible. In most states, 24 to 48 hours notice is required in writing for the property manager to inspect the property, and it’s most helpful for both parties to be present during this inspection as well. At the end of the inspection, each party should sign and date the report and deadlines should be set for fixing any issues and for any re-inspections. Move-out Inspections – Aim to conduct this inspection as soon as the tenant moves out so there are no disputes about who is responsible for the final condition of the property. Be sure to have both the move-in inspection reports and photos, as well as the routine inspection reports and photos in case there is a need to compare or dispute anything. Again, be thorough with final photos and documentation and both the tenant and the property manager should sign the final inspection. Doing regular inspections means that you will catch small problems before they get larger and also ensures that you won’t be surprised by major damages in the end. It can also help you identify tenants that may require more frequent and thorough inspections during their lease. To keep track of all of these inspection reports and photos, it’s important to use a cloud-based report system like EZInspections.com. A system like this ensures that no matter how many different people are conducting the inspections, each is looking for the same thing and able to access any previous inspection reports and photos. To learn more, visit EZInspections.com.